ATLANTA, GA (MARCH 7, 2018) – Berkshire Hathaway HomeServices Georgia Properties today announced Petersen Partners was honored as a 2017 Top 100 Award Winner for Residential GCI and Units at Sales Convention 2018 in San Antonio, TX, March 4-6. The Top 100 Agent Award recognizes the Top 100 Sales Professionals in the network for Residential GCI and Units. Petersen Partners was ranked Number 87 in GCI and Number 99 in Units out of the entire global network of 41,000 Berkshire Hathaway HomeServices sales professionals. 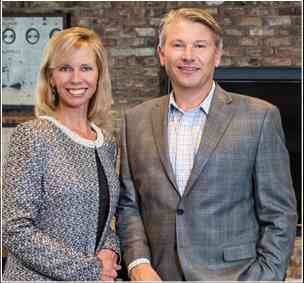 In 2017, Petersen Partners was also recognized as the Number 1 Team for Berkshire Hathaway HomeServices Georgia Properties in Gross Commission Income, Units and Sales Volume. They achieved Chairman’s Circle Diamond level, representing the top one half of one percent in the global network.